My new recommendations for Gluten Free eats!! 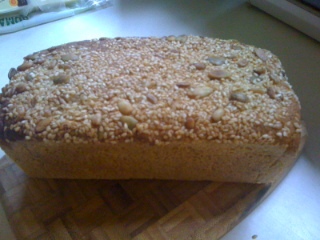 My favorite bread is Udi’s Millet-Chia bread- really great toasted! Another good Udi’s product is the pizza crust, just add sauce and veggie toppings! I am always looking for yummy gluten free granola to top my favorite yogurt (Greek). I also like Trader Joe’s Cranberry Maple Nut Granola. Perfect to bring to the sushi bar! Trader Joe’s Roasted Seaweed Snack…so yummy! Try this instead of peanut butter! 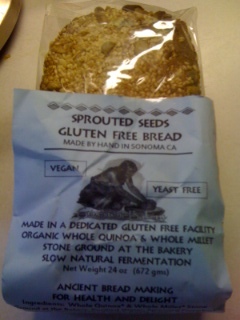 (organic Sunflower Seed Spread) It’s great on toasted Udi’s Millet & Chia bread!!! Organic variety available at Whole Foods and regular available at Trader Joe’s. I forgot to mention: Trader Joes Gluten Free Crunchy Chocolate Chip Cookies…oh my! -check out her informative post about the ABC’s of going gluten free.